Birdchain is an SMS marketing platform that allows users to earn a profit on unused SMS, providing them as a channel for advertising/information letters. Birdchain does two very important things. One, it eliminates corporate middlemen who drastically increases A2P SMS price. Two, it uses blockchain technology to increase transparency. It will allow us to bring fair and transparent pricing in the A2P SMS market. And the best part – businesses will benefit from bulk prices no matter how big their SMS marketing campaign is. MVP is absent. Working prototype according to WP data is planned to be presented in June 2018. Birdchain token is NOT AN ASSET NOR A SECURITY. It is a utility token. 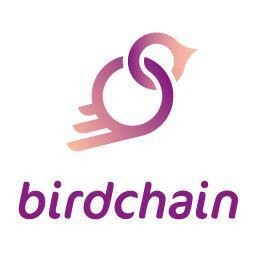 Birdchain tokens do not represent or confer any ownership right or stake, share, security, or equivalent rights, or any right to receive dividends, other payments, intellectual property rights or any other form of participation in or relating to the project described in this white paper and/or in Birdchain or any of its affiliates. The holders of Birdchain token are only entitled to use the A2P SMS distribution service as described in this document if successfully developed, or to resell the tokens. The project does not consider possible technical and legal limitations of the possibilities of A2P SMS from both the government and the operators. The project does not consider the issue of traffic flow and users to messengers. The forecast for 2018-2020. - A2P traffic starts to grow, but the average annual growth rate is a few percent, the market stagnates and you can talk about the saturation of the market in the medium term. In the structure of all A2P SMS, the most significant segments are banks and retail companies. which includes a segment of advertising messages. At present, these segments together account for 90% of all traffic. However, large customers are increasingly using the direct purchase of SMS from operators. There is no prototype of the Birdchain platform. Birdchain's solution does not have sustainable competitive advantages and product can be easily copied. The product development roadmap is devoid of useful information and noted timelines are stretched over a longe period of time. The company presents a convincing analysis of the attractiveness of the platform only for customers of A2P SMS - organizations, but the success of the solution will depend on whether the critical mass of users in the ecosystem is typed, ready to provide unused SMS for distribution. The business model of the project is trivial and quite typical for its sector - it does not provide the company any competitive advantages and easy to copy. The business model of the company has a serious vulnerability in the form of response from mobile network operators for which the Birdchain business is not complimentary. The readiness of the critical mass of users to work on the model proposed by Birdchain is not verified. The company does not provide a detailed cost structure and justification of the investment needs. The company does not provide adequate current and achievable financial forecast. The average size of the investment round for a company comparable to Birdchain is $ 1M. (according to PitchBook given the company's lifetime and product status). The bonus pool for team is 27% of the tokens. There are no mechanisms to ensure future distribution of profit for the tokens holders. Bonus Schemes (27% of the tokens.) should Not Be Linked to KPIs Performance. Part of the project participants work full time in JSC "Vertex". According to the Statista.com and Zion market research reports, the global A2P market (SMS between the subscriber and application, automated system, platform) will grow from CAGR 4.4% to 2025 and reach 62.10 billion US dollars in 2025 . In 2017, the A2P SMS market for various sources is estimated at $ 50-60 billion. The A2P SMS market is strongly consolidated, with more than 90% of the mailings coming from such large players as Syniverse Technologies, LLC, AMD Telecom SA, Fortytwo Telecom AB, Silverstreet BV, CLX Communications AB, Ogangi Corporation, Tanla Solutions Ltd., Symsoft AB, Cybercomm, Infobip Ltd, Route Mobile Limited, Angkor Data Communication Group Co., Ltd., tyntec, nexmo, DIMOCO. Birdchain is a decentralized platform based on Ethereum, which includes a messaging application - Birdchain. When customers want to sell their unused SMS messages via Birdchain, they should enable this feature in the settings. No additional interaction between the user and the application is required. The application will send information and promotional SMS messages in the background automatically. Thus users will receive tokens Birdchain for each SMS-message sent from phone. A working prototype is planned to be presented in June 2018. The Birdchain business model is based on the use of a platform token and the interest of all three parties involved - buyers of SMS mailings, platform users who want to earn money from unused SMS and mobile operators who do not have strong resistance in implementing the baseline scenario of the project. The model is based on the assumption that the cost of 1 sms for Birdchain will be 0.005 euro (not confirmed by unit-economy calculation) Users of the Birdchain application will receive 80 percent of each SMS sold. 20 percent will be the commission fee for the platform. At the same time, the need to use blockchain layers in the platform is not justified by the impact on operational and economic benefits. The company plans to issue 9.4 billion utility tokens. Hard cap for Birdchain ICO is 86,000 ether or $ 25.8 million at the rate as of 05/11/2017; Soft cap - 9 500 ether or $ 2.85 million. The company also points out that for the onset of an operational payback, 50,000 mobile application installations are required that will allow Birdchain to sell at least 200 SMS per day. At the same time, the company does not disclose the projected financial indicators and details of the financial model. Noteworthy is the fact that it is planned to distribute 27% of tokens as bonuses to the team and the founders of the project. The project team was formed in JSC "Vertex" (A2P SMS aggregator VertexSMS), the team members have many years of experience in the market of A2P SMS. The team consists of 20 people, with the majority of participants continuing to work in Vertex and is engaged in the project Birdchain in parallel.